There’s a civil war of sorts under way in Illinois – pitting Chicago against much of the rest of the state. 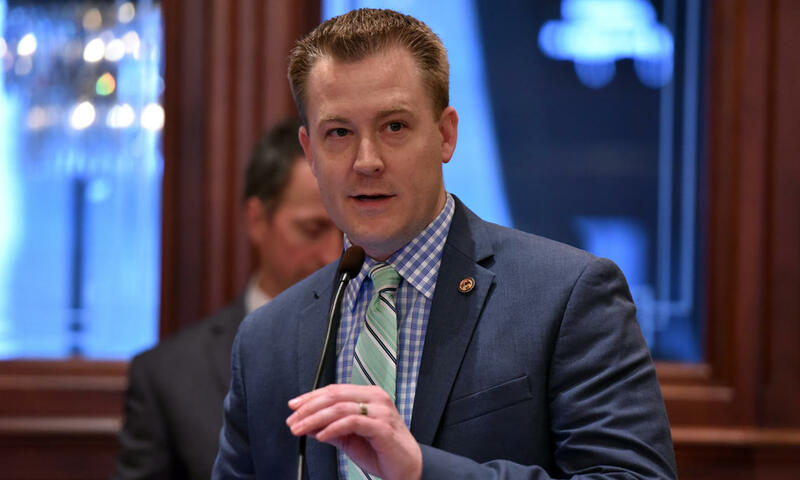 This dispute is one of politics and policy and it has even led to a resolution being filed by a group of Republicans that would split Illinois into two separate states. The extreme idea isn’t going anywhere. So far, it has yet to even receive a hearing. And one of those lawmakers who has signed on as a co-sponsor isn’t concerned about that. Davidsmeyer points to policies like the new minimum wage law. It will eventually raise the wage to $15 an hour statewide. The representative feels that could be a problem for businesses in his district and elsewhere downstate. One familiar line thrown around by downstate politicians is that Chicago takes tax money at the expense of the rest of Illinois. However, a study by the Paul Simon Public Policy Institute found just the opposite. “It's probably a more explosive question in Illinois because we have such a long-standing, divisive debate about regionalism. And that debate takes the form of Chicago/Cook County versus Downstate. … And Downstate that resonates because we firmly believe that we're not getting our fair share,” said the Institute’s John Jackson in an interview with NPR Illinois’ Brian Mackey. Davidsmeyer doesn’t dispute that Chicago is an economic engine that benefits the entire state. So if he doesn’t think splitting the state in two is the right approach, why sign on to a resolution that calls for such action? The votes have been counted and we’ve seen who won in Illinois. We know Democrats added to their grip on the Chicago area and Republicans held on in much of central and southern Illinois. What did we learn about the division of political support in the state? Election 2018 — Lessons Learned? Last year’s election was historic by several measures: the amount of money spent, the surge in turnout, and the Democratic sweep of Illinois government. Every four years, the Paul Simon Public Policy Institute at Southern Illinois University Carbondale analyzes the election, looking at everything from spending patterns to changes in voter behavior.